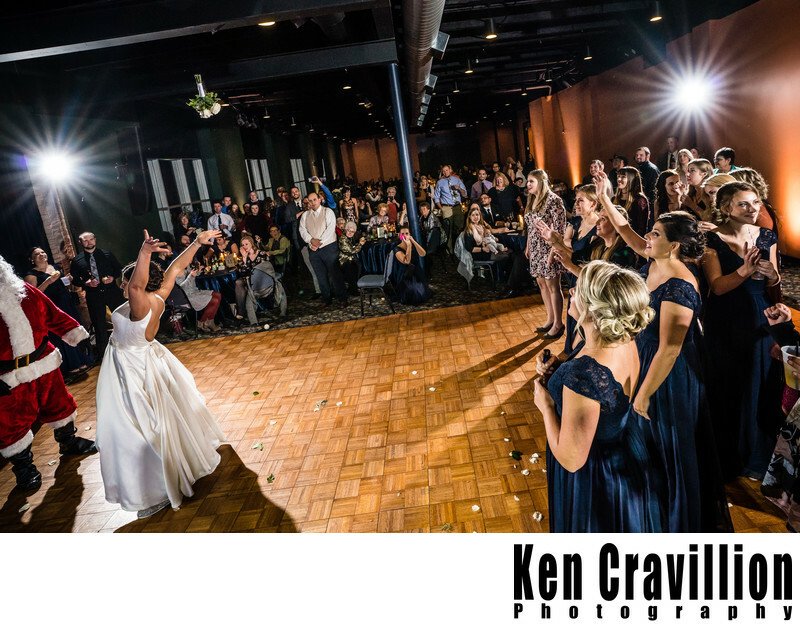 The garder and bouquet tosses always make for interesting wedding photos. This particular wedding reception was at the Schauer Center for the Arts in Hartford, Wisconsin. 1/80; f/8.0; ISO 2500; 16.0 mm.